Benjamin Franklin was born in 1706 in Boston and lived to be 84 years old. Nearly 60 of his living years were spent being an accomplished member of the Mason community, investing himself wholeheartedly and committing himself to being actively involved in every aspect of Masonic culture. And such was the nature of Ben Franklin: to passionately pursue all endeavors to the utmost of his ability. Benjamin Franklin was always destined to be an accomplished man. His earliest pursuits included mathematics, mapping, electricity and political activism. He was passionate about the exchange of and access to knowledge, and demonstrated this by forming the Junto Club in 1727, publishing the Pennsylvania Gazette in 1729 and organizing the first American library in 1731. Ben Franklin's Junto Club was also known as the Leather Apron Club and established for the purpose of open discussion amongst intellectuals and scholars. The club discussed and debated politics, philosophy, science, business tactics and morals amongst themselves. However, they also considered themselves a charitable organization and lent their own books to the public through what would later become a successful lending library. The Gazette was well known and one of the only American-published newspapers before the Revolution. It was purchased by Ben Franklin in 1929 to make social, political and cultural issues of Colonial America public and widely available. 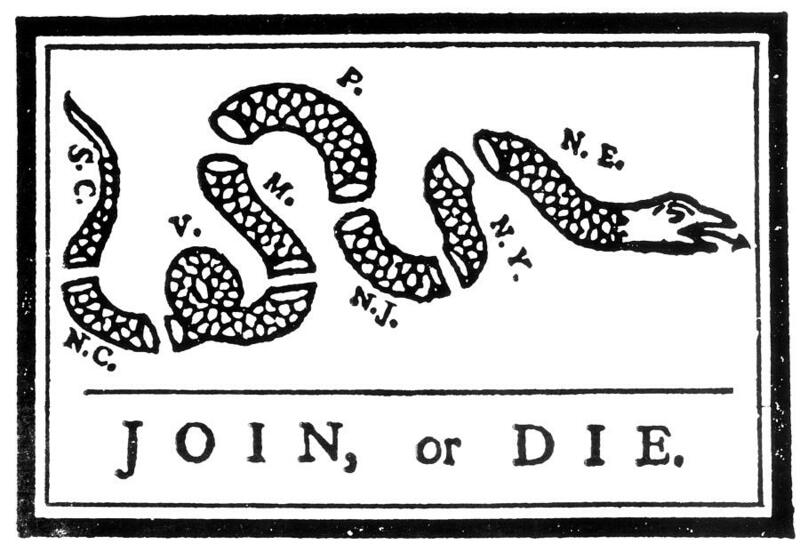 Franklin oftentimes contributed to the successful newspaper himself, authoring the famous "Join or Die" cartoon, the first of its kind. Currently stocking over 500,000 books and 70,000 other artifacts and items, the Library Company of Philadelphia started with a few mere donations from the members of the Junto Club in 1727. By 1731, members of the club had agreed that the donations should become larger and more organized, and that a public lending library should be founded to encourage intellectual pursuits amongst the general public. 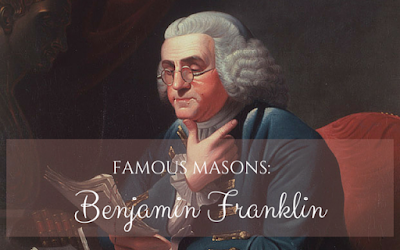 That same year, Ben Franklin was appointed Mason Warden of St. John's Lodge in Philadelphia, and just a year later he was elected Junior Grand Warden, supervising the lodge at recess and ensuring that all visitors had the proper credentials. 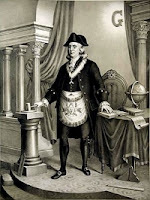 Through his efforts and consistent perseverance, Franklin was elected Provincial Grand Master just two short years later, presiding over the entire Grand Lodge of Philadelphia, a great honor and responsibility. His scientific pursuits continued throughout this time, resulting in many new and impactful inventions such as bifocals, the lightning rod and the odometer. Franklin also remained politically active, and his strong passion for education and literature did not waver. 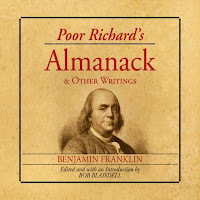 He wrote and published Poor Richard's Almanack in 1732 to offer the public an array of entertainment from puzzles to stories to practical household tips. 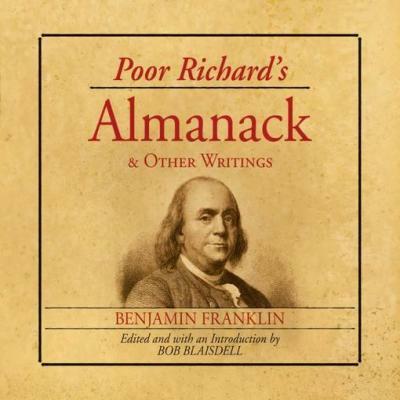 The Almanack continued to be published for 25 years, selling roughly 10,000 copies every year, a profit that allowed Franklin to remain active in all of his pursuits. In 1749, he organized for the purchase of an academic building originally intended to become a charter school before building funds ran out and founded the Academy and Charitable School in the Province of Pennsylvania, now the University of Pennsylvania. The wealthy and working class alike were admitted freely, and Franklin remained on the board of trustees until his death in 1790. His sometimes radical yet influential ideas shaped much of Colonial America at the time as well as the time periods surrounding the American Revolution and beyond. Ben Franklin is considered a Founding Father and is sometimes referred to as "the only president of the United States who was never president of the United States." Franklin remained loyal to his Masonic brotherhood, scientific and academic pursuits, and his political career throughout his life. He held the role of Grand Master Mason throughout the drafting of the Declaration of Independence and while he negotiated the Treaty of Paris, which effectively ended the Revolutionary War and declared the United States of America sovereign and independent. If you have any interesting facts about Ben Franklin you'd like to contribute, please leave us a comment below. Thanks for sharing biographic blog with us. Need to keep it with myself as you never know what gonna come handy at time. © 2013 Lovie Art Jewelry. Powered by Blogger.